A monumental match for the ages! On October 3, I will be facing a wrestler whom I have a boatload of respect for. We are talking about a man who has done things right, straight from the outset of his career. A man that stood out like a beacon in the post-World of Sport dark days of the British pro wrestling scene around the turn of the century, due to his outstanding, physical style and intensity. I’m talking about Doug Williams. 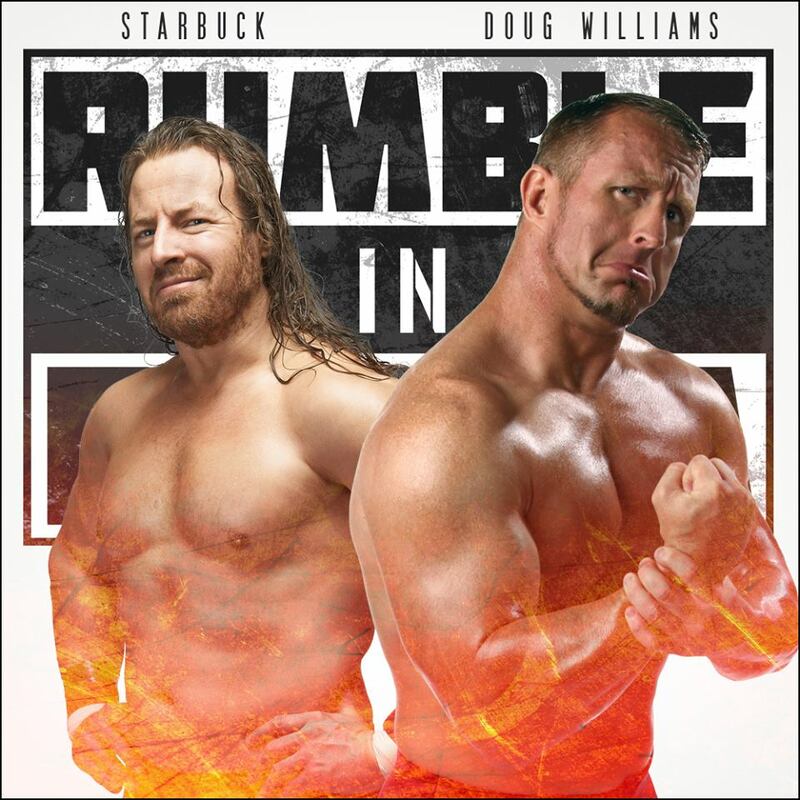 Doug Williams is a world-traveler and time-tested veteran in the wrestling business. 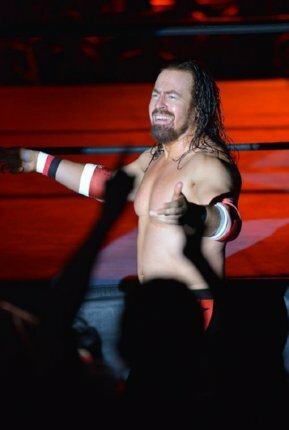 He long wrestled for Pro Wrestling NOAH in Japan before heading out to TNA Impact Wrestling, where he captured the X-Division and tag team championship (with Magnus). Williams wrestled extensively for ROH (Ring of Honor) in the States prior to his jaunt in Japan, and it was in ROH that he captured their PURE title, a championship that was established to exude the excellence of the pure wrestler prototype — no bells and whistles, no gimmicks needed. Doug Williams has faced the best of the best in the pro wrestling industry, and today, he stands as the “International Ambassador of British Wrestling” and the living hallmark of the traditional British wrestling style. I’ve equally faced the absolute best in the pro wrestling industry, from former ECW champion Steve Corino to former WWE US champion Tajiri to arguably one of the greatest wrestlers ever out of Europe in Dave “Fit” Finlay to the world-renowned former NWA TV champion, Keiji “The Great Muta” Muto. But never have I faced the best out of England. 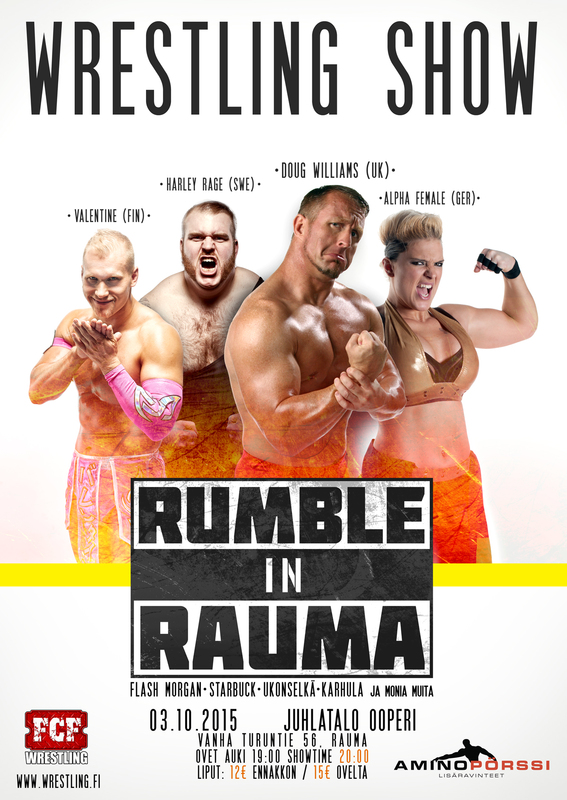 On October 3 at Rumble in Rauma, the Finnish wrestling fans are going to be in for a treat. They are going to witness a historical first, when the best out of England meets the best out of Finland. Two men — two gladiators — who will go out there with their respective national pride, as sportsmen, and grapple in what is sure to be a classic, memorable bout for the ages in the annals of not only Finnish wrestling, but European pro wrestling on the whole. Don’t miss out on this one if you are living in Finland. Make plans to join FCF Wrestling for Rumble in Rauma on October 3 at Ooperin Juhlatalo, with a showtime of 20:00 for this monumental card, which will also feature FCF champion Valentine defending against former Danish champion Chaos; Swedish GBG champion Harley Rage defending against Finland’s transsexual superstar Jessica Love; Europe’s top female wrestler Alpha Female of Germany vs. Regina vs. Julia Kyy in a women’s Triple Threat match; high-flying Englishman “Flash” Morgan Webster and Swedish high flyer Timmy Force against the massive team of King Kong Karhula and Pyöveli Petrov; and much, much more!